Airy volumes, crispy textures, pervasive ease, lightness. Recurring nods to 50's french sportswear, spiced with impalpable roominess and fluid tailoring suggest an effortless, natural take on sensuality. 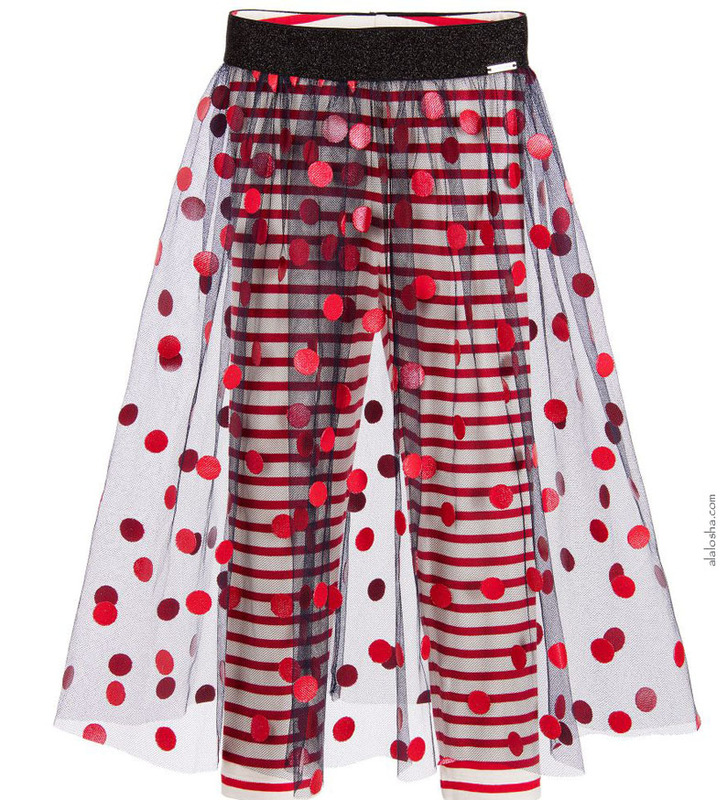 Girls tulle skirt and leggings set by Junior Gaultier. 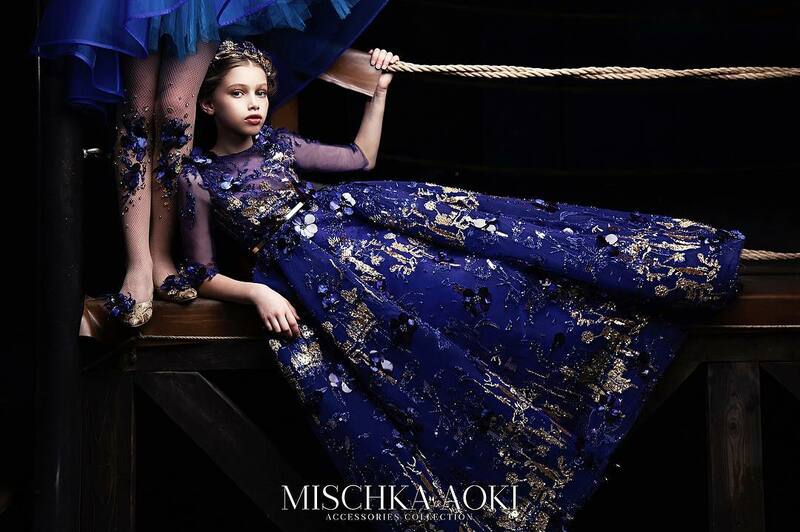 This fun two-piece has a navy blue, sheer tulle skirt with red spot appliqué and a wide, glittery elasticated waistband. The matching striped leggings are in red and white, with an elasticated waistband and are long length. Girls ivory, cap-sleeved t-shirt by Junior Gaultier, made in super soft viscose jersey. 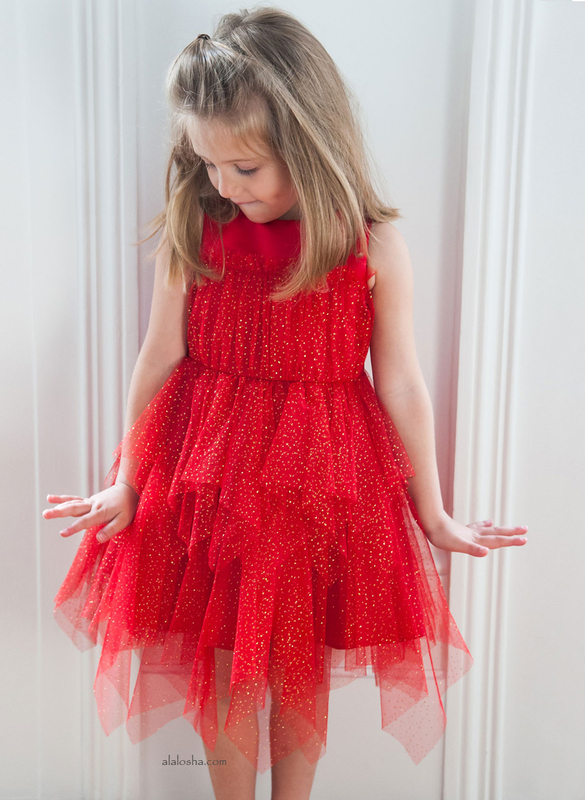 It has a round neckline and the front has a red and black girl print with an appliquéd tulle skirt. 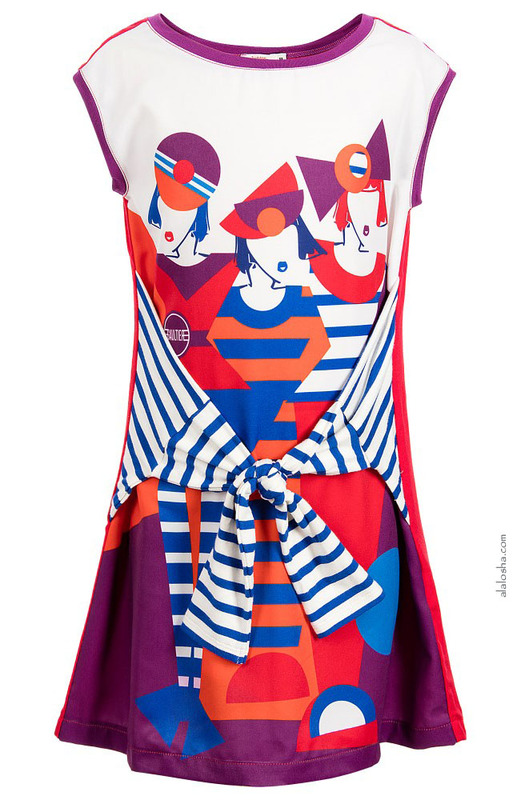 Girls red, sleeveless dress by Junior Gaultier, made in silky polyester and soft viscose. It has a round neckline and has an abstract and geometric print on the front. It has an attached striped jersey sash, which can be worn tied at the back or front. 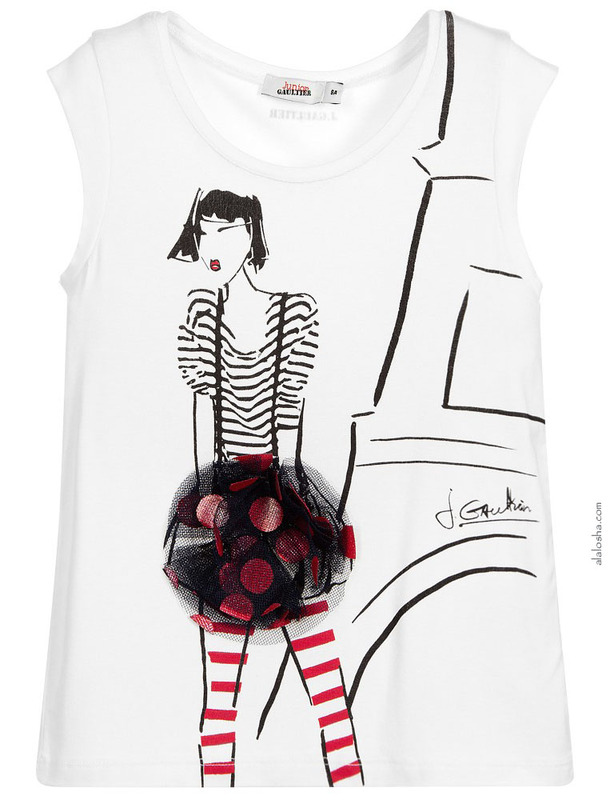 Girls blue shorts by Junior Gaultier. Made in soft cotton denim with a slightly faded look. It has a colourful and sparkly floral embroidery at the hip. Fastening with a zip and logo embossed popper, they have turned up leg cuffs, an adjustable waistband with belt loops and five pockets. The designer's logo tag is attached at the small side pocket. Girls blue denim jacket by Junior Gaultier, with colourful and sparkly floral embroidery. Made in soft cotton denim and fastening with silver, logo-embossed buttons down the front, it has a pointed collar with two front flap pockets.